FILE - In this July 19, 2016, file photo, flowers bloom in front of a Yahoo sign at the company's headquarters in Sunnyvale, Calif.
Verizon will now pay for one half of the settlement cost, with the other half paid by Altaba Inc., a company that was set up to hold Yahoo's investments in Asian companies and other assets after the sale. Altaba already paid a $35 million fine imposed by the Securities and Exchange Commission for Yahoo's delay in disclosing the breach to investors. The free credit monitoring service from AllClear could end up being the most valuable part of the settlement for most accountholders. The lawyers representing the accountholders pegged the retail value of AllClear's credit-monitoring service at $14.95 per month, or about $359 for two years — but it's unlikely Yahoo will pay that rate. 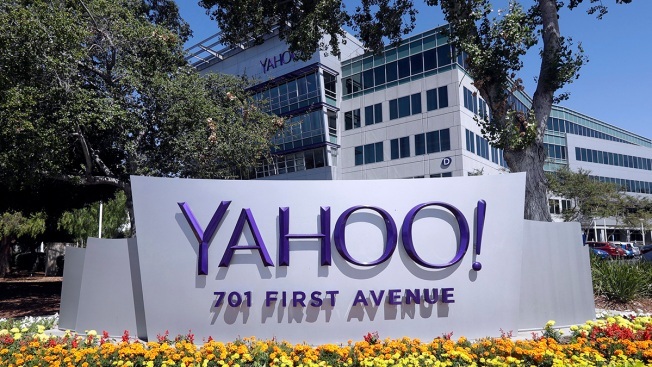 The settlement didn't disclose how much Yahoo had agreed to pay AllClear for covering affected accountholders.